John A. Ferguson’s Girls Basketball team has a few new faces but their expectations are still the same. Coach Jicha is training his girls hard to reach their goal and they aren’t letting anyone stand in their way. “Our expectations are very high this year and our goal is to win the state championship,” Coach Jicha said. “ I hope to have a great season not only for me but also for my teammates and hopefully we can get to state this year. 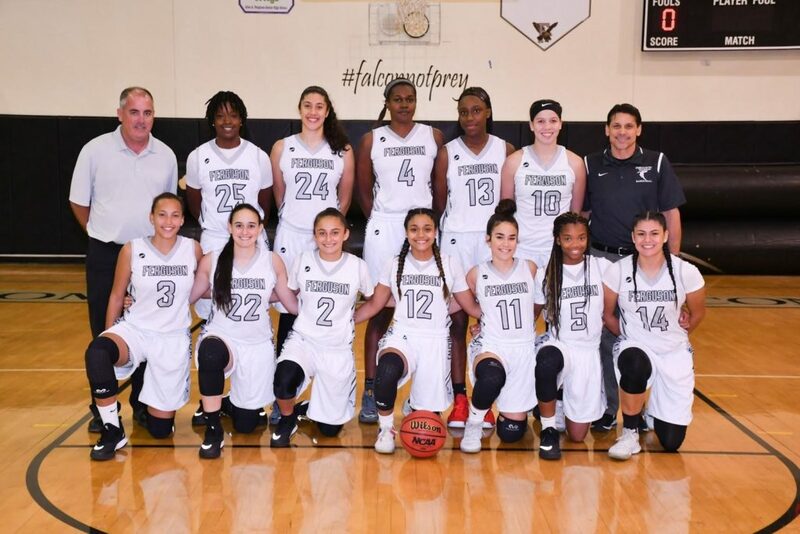 I’m looking forward to playing against Our Lady of Lourdes Academy, our district rivals, and Boca Raton High school,” Isabella Ricardo said. “My goals for this year are for my team to make it to state and win the championship. I’m looking forward to going to South Carolina and Maryland,” Delores Charlton said. Jicha has been a basketball coach for 25 years but this year is his first year coaching the girl’s team. Jicha says the girls are very different from the boys when it comes to accepting and using coaching strategies; they are more receptive, more focused, and are more willing to learn so they become a better basketball player. “Something I think the team needs to improve on is playing at a higher level all the time, playing against inferior teams can sometimes make the team play at a lower level than what they are capable of,” Jicha said. This year’s girl’s basketball team is working hard to do what they love. Let’s help give them the support they need to accomplish their goals.